At my own firm, I’ve gone to the Veterans Court many times to straighten the BVA out on low-balled VA PTSD ratings. I’vestopped them from symptom hunting. I’ve seen ratings so bad that the Veterans Court found the BVA’s actions “disconcerting.” And we stopped the BVA from an absurd decision that gave a 30% PTSD rating to a Veteran who had regular hallucinations due to his trauma. And I’m here to tell you, if I was fighting the VA on my own PTSD claim, there is only one attorney I would get to help me:Matt Hill. I’ve known Matt for almost 10 years now, and he knows his stuff when it comes to PTSD claims.Click here to watch a quick interview with him a couple years back– use the form on that page and it will email him your info and ask for a consultation. And you can absolutely tell him that Chris Attig said he was the best. When we talk about a VA Claim, we talk about simplifying it bybuilding the 4 Pillars. Here are 9 pointers to help you evaluate the rating in yourVA PTSD claim. They filed their claim and expected the VA to do the work – or to do the RIGHT work – in developing the claim. They didn’t “connect the dots” for the VA in a simple straightforward way that made the VA Rater WANT to grant the claim. You can avoid those solutions byFiling Your VA Claim – the Right Way – from the very start. Find out WHAT 5-star evidence you need to put in your VA Claim. Find out HOW to make the arguments in a way that makes them easy for a rater to understand. One thing you can consider doing is making a copy of any medical recordrelating to your PTSDout of your C-File. This is really hard to do if you don’t have your C-File – here’show to get a copy of your C-File. 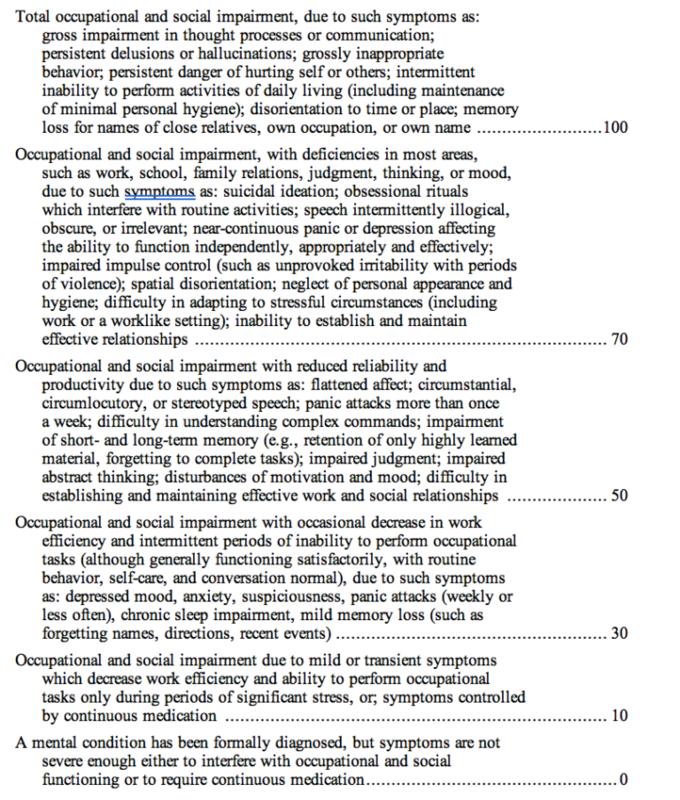 TheGAF scale is a subjective rating, on a scale of 0 to 100, for a doctor to “evaluate” a Veteran’s overall psychological, social and occupational functioning. The higher the score, the more ability the Veteran has – in theory – to function in a wide range of activities. Even still, I see many, many PTSD ratings that give heavy consideration to GAF scores over actualobjective medical and lay evidence of PTSD symptomatology. I really think that if the VA wouldget away from using “negative evidence”, 80% of the backlog would be cleared out. If your VA PTSD rating talks about how you DON’T have certain symptoms or problems, you need toget in touch with a lawyer ASAP. The way to fix this is a legal argument, coupled with a long-term appeal strategy. 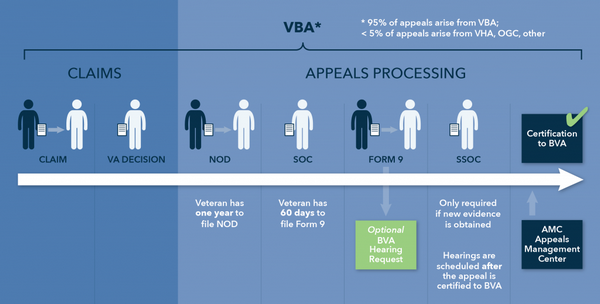 Find out how tochoose the best attorney for your VA appeal in this free eBook. Remember, doctors can assess the symptoms in your records – AND the symptoms they observe. When itcomes to your appearance at the C&P exam, BE your symptoms. Without your C-File, youcan’t know how much weight the VA is wrongly putting on arbitrary GAF scoresfrom 10 years ago, whether all of your medical records made it into the VA’s hands, or whether there is something really damaging in your file (like some VA C&P examiner down in Florida who finds every Veteran is malingering, over-reporting, or under-reporting symptoms without explaining what those terms mean, medically). Here’s where I show youmy Firm gets C-Files from the VA.
Editor’s note: This is the second in a series of articles focusing on appeals. In my previous post, I wrote about the difference between a claim and an appeal. Most Veterans are aware that claims are rated at the VA regional office (RO), usually in their state. However, a lot of Veterans are not aware that appeals are also reviewed at the regional office before they go to the Board of Veterans’ Appeals (Board). In this piece I will discuss the RO’s appeal process, your role in the process, and the things you can do to help expedite your appeal. Once a VA office issues its decision on your claim, you have one year from that date to file an appeal. Read the decision letter closely: it will tell you why VA made the decision it did. 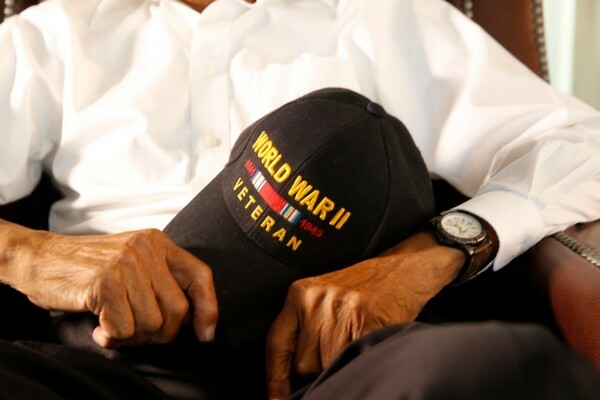 If you are unsure why or how VA made its decision, ask a Veterans service officer for help. You can also call VA or go to your regional office. If you disagree with VA’s decision for any reason – the effective date of your award, the rating percentage you were given or the reason you were denied – you should file a Notice of Disagreement (NOD). If VA included VA Form 21-0958, Notice of Disagreement, with its decision, you must use that form to file your NOD – it is mandatory. The NOD is the start of your appeal. Once you file your NOD, you have several rights: you can submit new evidence, ask for a de novo review where a decision review officer (DRO) takes a “fresh look” at the claim, reviewing the entire claims file and/or ask to testify and present evidence at a telephone or in-person hearing. VA encourages Veterans who choose to have a hearing to opt for an informal teleconference hearing, since these can be scheduled much faster. Many appeals are favorably resolved at these early stages. Make sure you file your NOD on time: your right to appeal ends a year from the date of VA’s decision. When you file your NOD, you have a choice: either select a traditional review or a de novo review by a DRO. You can make this choice right on your NOD when you start your appeal. If you don’t make a decision, VA will mail you a notice of this right, and you’ll have 60 days to respond, so answer right away. If you opt for a traditional review, a member of the RO appeals team reviews the decision on your claim to determine if it was processed correctly; if it was, the RO will issue you a Statement of the Case (SOC). An SOC lists the applicable laws and regulations related to that decision, all the evidence that was considered in making the decision and a detailed explanation of the decision VA made. A de novo review is your other option. de novo, which means “new,” or “fresh look,” is a Latin term used by lawyers. In a de novo review, a DRO, who is a senior-level, highly experienced claim processor, looks at all the evidence of record (your entire claims file, including any new evidence you’ve submitted). The DRO can grant your appeal, deny your appeal and issue an SOC, or order additional development (such as a new medical exam or a request for additional medical records), if warranted. If you were appealing service connection for tinnitus (ringing in the ears) and the RO granted this on appeal at 10 percent, the RO appeals team will ONLY issue a rating decision since 10 percent is the highest rating you can receive for tinnitus. This means the appeal has been granted in full. You will not receive an SOC. If you were appealing VA’s 10-percent rating for arthritis in your lower back because you believe you should be rated higher, but the RO appeals team disagrees and continues your 10-percent rating, you will receive ONLY an SOC. If you were appealing VA’s 10-percent rating for arthritis in your lower back because you believe you should be rated higher, and the RO appeals team agrees and increases your rating to 20 percent, you will receive BOTH a new award decision explaining why VA increased your disability rating AND an SOC detailing how VA arrived at its decision, including why you were not entitled to a rating higher than 20 percent. You have 60 days from the date the SOC is mailed to you to file a VA Form 9, Appeal to the Board of Veterans’ Appeals, if you wish to continue your appeal to the Board. Any time you submit more evidence after the SOC or before the Form 9, VBA must conduct another review of the case and issue another SOC – this one called a supplemental statement of the case (SSOC) that includes the additional evidence – or a rating decision, if the additional evidence allows VBA to grant the appeal. This must be done each time you submit new evidence after the SOC. I have seen appeals with four or five SSOCs. Keep in mind, each time you submit new evidence it triggers a new review. It’s like starting all over again in the appeals process. Each new SSOC can add up to 400 days to the appeal, so my best advice is, submit all available evidence to support your appeal when you file your NOD. On the Form 9, you can request an optional hearing before a judge at the Board, who will decide your appeal. A hearing is not required and will delay a final decision, but if you want a hearing, you can choose a video-teleconference hearing, a travel board hearing at your local RO, or an in-person hearing in Washington, D.C. If you want a hearing, your best bet is to opt for the video-teleconference hearing, since it can be scheduled much quicker than other types of hearings. This is because you don’t have to travel to Washington, D.C. and you don’t have to wait for a judge to travel to your RO. You still get the benefit of representation and talking to a judge face-to-face – though virtually, like on Skype or on FaceTime. Once you submit your Form 9, the RO appeals team reviews your appeal to ensure all actions were completed and that it is ready to go to the Board. Once ready, the local RO will certify and transfer your appeal to the Board in Washington, D.C. In my next piece, we will discuss the appeals process at the Board. But in the meantime, I am happy to answer questions about the RO appeals process in the comments section. Please remember, we cannot answer questions on your specific appeal. WASHINGTON — More than 238,000 of the 847,000 Veterans with pending applications for health care through the Department of Veterans Affairs have already died, according to an internal VA document provided to The Huffington Post. Scott Davis, a program specialist at the VA’s Health Eligibility Center in Atlanta and a past whistleblower on the VA’s failings, provided HuffPost with an April 2015 report titled “Analysis of Death Services,” which reviews the accuracy of the VA’s Veteran death records. The report was conducted by staffers in the VA Health Eligibility Center and the VA Office of Analytics. Flip to page 13 and you’ll see some stark numbers. As of April, there were 847,822 Veterans listed as pending for enrollment in VA health care. Of those, 238,657 are now deceased, meaning they died after they applied for, but never got, health care. While the number is large — representing nearly a third of those listed as pending — some of the applicants may have died years ago. The VA has no mechanism to purge the list of dead applicants, and some of those applying, according to VA spokeswoman Walinda West, likely never completed the application, yet remain on the pending list anyway. West said the VA electronic health record system has been in place since 1985, suggesting some of the data may be decades old and some of those people may have gone on to use other insurance. 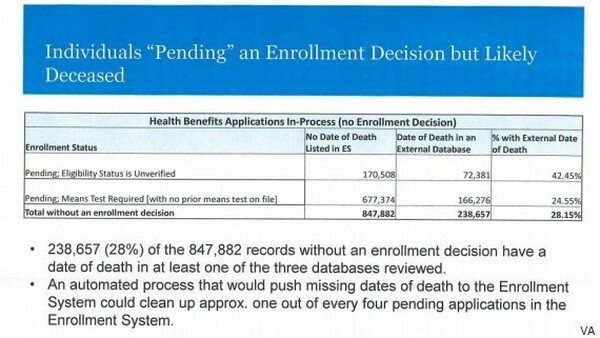 At a minimum, the high number of dead people on the pending list indicates a poor bookkeeping process that overstates the number of living applicants — a number that should be closer to 610,000. A spokesman for the Senate Veterans Affairs Committee did not respond to a request for comment. 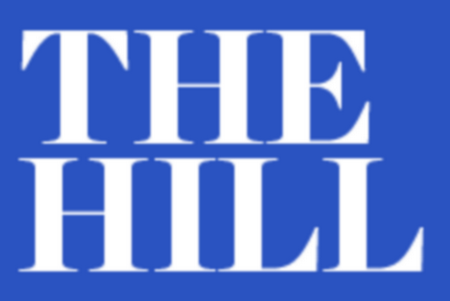 Eric Hannel, the staff director of the House Veterans Affairs Subcommittee on Oversight and Investigations, said his team is looking into the report’s findings. “We take it seriously,” said Hannel. Davis recently sent a letter to Sen. Johnny Isakson (R-Ga.), who chairs the Senate Veterans Affairs Committee, laying out the problems with the health care backlog. He highlighted that 34,000 combat Veterans are among those listed as pending for health care — none of whom should be on that list since combat Veterans are granted five years of guaranteed eligibility for VA health care. The best thing President Barack Obama can do, said Davis, is force the VA to allow Veterans to upload their so-called DD-214 forms when they apply for health care. The form is a lifelong document that shows a person’s military record. If Veterans could use it to show their eligibility for health care, and if the VA assigned staff to review all of the pending applications, it would clear the logjam in the system, he said. WASHINGTON — Veterans rejected for disability benefits will have a new slate of appeals options starting next month, when federal officials will put in place an overhaul the review process with hopes of dramatically cutting down on wait times for the complicated cases. Last week, Department of Veterans Affairs officials announced they will implement new appeals modernization rules starting Feb. 19. Work on the effort has been underway for more than 18 months, since lawmakers passed sweeping reform legislation on the topic in August 2017. Under the new rules, Veterans will be given three options for their benefits appeals. All three are designed to streamline the complicated existing process for cases, which can languish for years as new evidence and arguments are introduced throughout the timeline. Now, VA leaders are hoping the most difficult reviews can still be completed in under a year in the vast majority of cases. Their target for cases which don’t go before the Board of Veterans Appeals is an average of about four months for a final decision. A successful appeal can mean potentially thousands of dollars in monthly benefits payouts for Veterans who have previously been turned down for what they believe are service-connected injuries and illnesses. 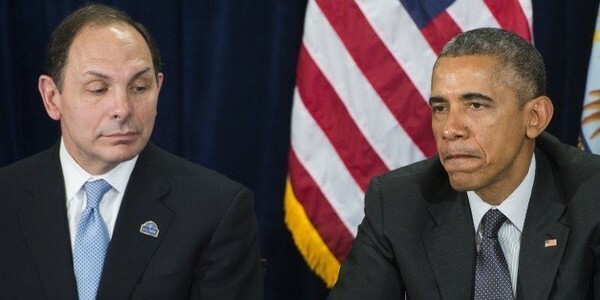 VA and Capitol Hill leaders hailed the changes as a long-overdue fix. He promised close oversight of the work ahead, but also hope about the potential rewards for Veterans. Committee ranking member Rep. Phil Roe, R-Tenn., last week visited a regional office in his home state that will be involved in the new appeals process and left feeling confident in its success. Veterans groups largely supported the appeals overhaul, although a few groups have expressed concerns about the new system limiting Veterans options for future reviews in favor of getting faster answers. Under the first of the three new appeals processes, Veterans can file a supplemental claim where they introduce new evidence backing their case. The appeal is handled by specialists at a regional office, who render a final decision on it. In the second option, Veterans can request their case be reviewed by a senior claims adjudicator instead of the regional office. Those experts will review cases for clear errors or mistaken interpretations of statute. If they find mistakes, they can mandate corrections for the cases. Finally, Veterans will also be able to appeal directly to the Board of Veterans’ Appeals. Those cases are expected to take the longest to process, because of the legal prep work involved. Veterans can get a direct decision or request a hearing before the board. Portions of the new process have been implemented as pilot programs at select sites in recent months. Previously, cases involved a combination of all three options, with cases reset and repeating steps with every new submission of case evidence. Veterans with cases currently pending in the system can opt-into the revamped processes starting next month, or remain in the current system if they believe it will better benefit them. More information on the changes is available through the Veterans Affairs benefits website. With the federal deficit expected to top $1 trillion this year, the Congressional Budget Office in December published a list of options for reducing the imbalance over the next 10 years, including three suggestions on Tricare and six that address Veterans benefits. In its Options for Reducing the Deficit: 2019 to 2028, the CBO laid out 121 opportunities for curtailing spending and raising revenue. These include raising Tricare enrollment fees for military retirees, instituting enrollment fees for Tricare for Life and reducing Veterans benefits. The CBO suggested that increasing Tricare enrollment fees for working-age retirees -- those under age 65 -- could help slash the deficit by $12.6 billion. To obtain this, it said, the Defense Department should more than double annual enrollment fees for individuals and families enrolled in Tricare Prime and institute annual fees of $485 for an individual and $970 for a family for Tricare Select. Most working-age retirees currently pay no enrollment fees for Tricare Select. The CBO also suggested instituting enrollment fees for Tricare for Life, the program that serves as supplemental coverage for military retirees on Medicare. Analysts estimated that the Defense Department could save $12 billion between 2021 and 2028 if it adopted annual enrollment fees of $485 for an individual or $970 for a family for Tricare for Life, in addition to the Medicare premiums most military retirees 65 and older pay. According to CBO analysts, these options would reduce the financial burden of Tricare for Life to the DoD in two ways: It would cut the government's share by the amount of fees collected and indirectly would save money by causing some patients to forgo Tricare for Life altogether, either by buying a private Medicare supplement or simply going without one. Another option would be to introduce minimum out-of-pocket requirements for those using Tricare for Life. In this proposal, TFL would not cover any of the $750 of cost-sharing payments under Medicare and would cover just 50 percent of the next nearly $7,000. Retired Navy Capt. Kathryn Beasley, director of government relations for health issues at the Military Officers Association of America, said her organization is concerned that the CBO continues to include health care rate hikes for military retirees in its list of options, which it publishes every few years or so. The CBO also ignored the fact that rate increases went into effect last year, she added. "CBO does this every year. Our biggest concern is that some of these options would make their way into the president's budget," Beasley said. "With all the changes to the military health care system in the past year, we think we simply need to stabilize Tricare. It's been a lot to absorb." 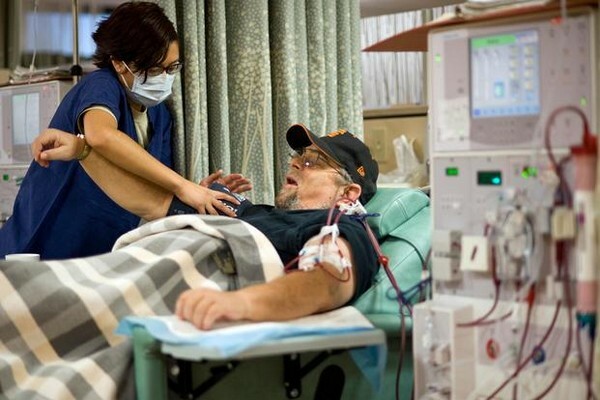 Narrowing eligibility for disability compensation for seven diseases the Government Accountability Office has said are not caused or aggravated by military service, including arteriosclerotic heart disease, chronic obstructive pulmonary disease, Crohn's disease, hemorrhoids, multiple sclerosis, osteoarthritis, and uterine fibroids. This option would save $33 billion over 10 years. Ending the VA's individual unemployability payments to disabled Veterans when they turn 67, the retirement age for receiving full Social Security benefits, which would save an estimated $48 billion. Reducing disability benefits to Veterans older than 67 who are receiving Social Security payments. This could save the government $11 billion. Eliminating disability compensation for 1.3 million Veterans with disability rates below 30 percent, saving $38 billion over an eight-year period. 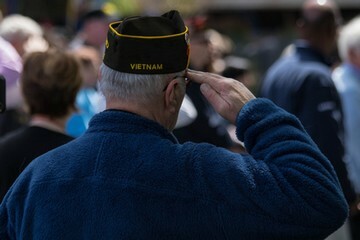 The VA option with some of the largest savings potential, according to CBO, would be to end enrollment for the two million Veterans in Priority Groups 7 and 8 -- those who do not have service-connected disabilities and have income above the VA national threshold and below a geographically adjusted threshold (Group 7) or above both thresholds (Group 8). This could save the government up to $57 billion, CBO analysts said. Finally, the CBO said the federal government could raise revenue by including VA disability payments as taxable income. According to the CBO, if all disability payments were to be taxed, federal revenues during the time frame would increase by $93 billion. If just Veterans rated 20 percent or less paid taxes on their disability compensation, federal revenues would increase by $4 billion, it said. CBO analysts say their options only "reflect a range of possibilities" and are not recommendations or a ranking of priorities. "The inclusion or exclusion of any particular option does not imply that CBO endorses it or opposes it," they wrote. As part of our commitment to those that have served, taxpayers will spend $100 billion in 2019 towards benefits programs for Veterans. Costs for these programs have more than quadrupled since the year 2000. Few programs of this size and importance have received less attention from a policy perspective. The VA’s disability compensation system is complex, cumbersome and frequently difficult to navigate. The approval process can be frustrating and slow — from obtaining copies of military service records to undergoing a comprehensive evaluation known as the Compensation and Pension examination, which is used to assign a disability rating from 0-100 percent. The exam itself was first conceived in the 1940’s. It has only been modified through iterative changes and may fail to properly acknowledge some of the most common issues facing today’s Veterans, such as post traumatic stress (PTS). Veterans who are dissatisfied with initial decisions often seek higher ratings. Despite real progress by VA in recent years, the backlog of appeals remains large and hundreds of thousands of Veterans wait on a system impeded by legislative restrictions and its own bureaucracy. 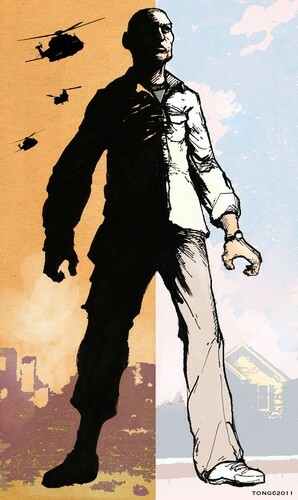 This perpetuates an adversarial relationship between the Veteran and VA. Many Veterans who struggle to obtain an initial benefits’ decision become locked into a complicated process to prove their needs. Few incentives exist for Veterans to improve their health status and decrease their disability rating. Under current policies, Veterans that improve may receive lower monthly payments. This also impacts Veteran's prospects in the workforce. A recent study published in The National Bureau of Economic Research found that that changes broadening disability compensation eligibility were associated with a decrease in workforce participation among disabled Veterans. This lies in stark contrast to the large body of evidence suggesting that employment has a clear positive effect on Veteran's physical and mental well-being. Disability ratings should be updated to reflect contemporary workforce needs. The current system places a high priority on physical attributes necessary for manual labor and does not acknowledge present day opportunities for many disabled Veterans to hold jobs in an increasingly digital economy. VA should make better use of its vast data to make more personalized disability compensation determinations. Leveraging what has become commonplace in the private sector, predictive analytic models can allow VA to tailor compensation more accurately. It may also be used to predict which Veterans will need more resources later in life due to individual characteristics or known disability profiles. Using these data to provide better initial determinations would allow VA to move away from a flawed and expensive appeals and re-rating process. VA should utilize best practices in behavioral economics to incentivize decisions that promote well-being and financial independence. Veterans should be incentivized to access healthcare when needed (e.g. PTS treatment). There should be simpler and more efficient linkages between the disability and the healthcare systems. When appropriate, the disability system should be integrated with programs that provide service dogs, adaptive sports and other programs that help Veterans regain functional and financial independence. VA should facilitate savings plans in the form of an individualized retirement account to reduce financial uncertainty for Veterans unable to participate in the workforce. With defaults that favor saving, VA can make it easier for Veterans to plan for the long-term financial implications of returning from service with significant disability. The benefits program should offer a lump sum payment option. Lump sum payments can provide Veterans with the resources needed to buy a house, start a business, or make other decisions that require capital resources up front. 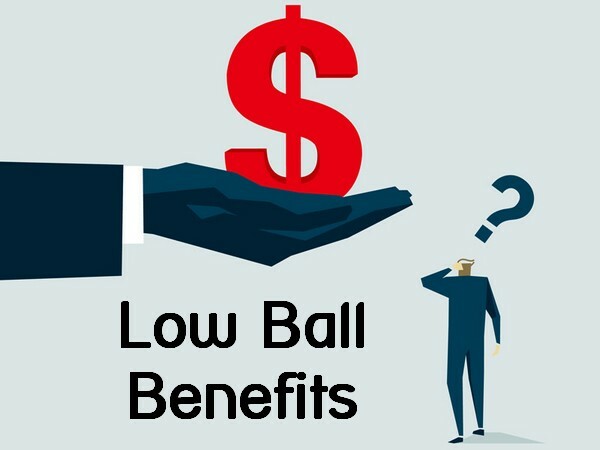 Lump sum payments are also advantageous to taxpayers because they can reduce future liabilities and create greater financial certainty over long lifetimes. Reforming Veterans benefits will be controversial, but necessary. If left as is, the current system is at risk of becoming financially unsustainable. Reactionary funding cuts would harm Veterans and further compromise public trust in upholding our responsibility to caring for our Veterans. The commitment Americans have to our Veterans is too important to forgo needed reforms. That many U.S. Veterans didn’t receive the educational benefits they were owed in recent months is inexcusable. What would be an even greater outrage, however, is if the federal government allows these mistakes to persist. The Department of Veterans Affairs must develop a clear plan to ensure GI Bill recipients receive their proper housing stipends and other educational benefits as soon as possible. The technology failures that reportedly caused thousands of Veterans to receive late or incorrect benefit payments in 2018 should be swiftly corrected. There can be no more excuses. So far, VA officials have offered little assurance that the situation is under control. After making a series of confusing statements, VA officials now say all GI bill recipients will receive the full housing payments and other benefits they are owed, retroactively if need be. But while the VA committed to correcting some of its computer problems by Dec. 1, 2019, it still looks as if it will be many months before all Veterans are made whole. That uncertainty is unacceptable for student Veterans who rely on precise benefit amounts to pay for tuition, food and rent. The chaos is particularly uncalled for because the VA had a year to implement changes mandated by the Forever GI bill, as noted by U.S. Sen. Patty Murray, D-Washington, at a recent committee hearing. The agency has said changes to how housing payments are calculated under that bill precipitated the recent IT failures and delays. Congress did the right thing by stepping in last month and setting a deadline for the VA to fix its backlog of incorrect payments. But the compliance date of Jan. 1, 2020 remains too far away — especially since the VA was supposed to have already implemented these changes months ago. As Murray told VA Secretary Robert Wilkie last month, “These are basic tasks that the VA cannot get wrong.” Murray and U.S. Rep. Derek Kilmer, D-Gig Harbor, recently signed onto a letter calling for an inspector general investigation into the VA’s payment problems. To their credit, both houses of Congress also passed legislation to ensure universities won’t penalize students if the VA misses a tuition payment. Yet these are steps Congress should have never had to take in the first place. Nor do they fully address whether the VA will be prepared to roll out other new benefits mandated under the Forever GI Bill in the coming months. Those include a benefits extension for students enrolled in science, technology, engineering and mathematics (STEM) programs, which is supposed to take effect in August 2019. 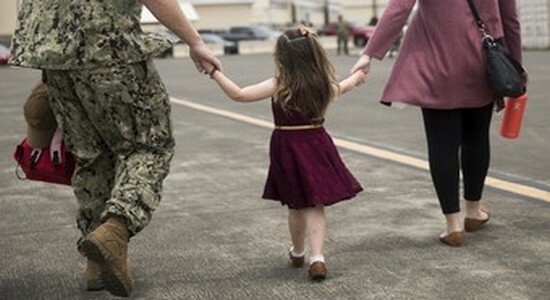 Earlier this year, the Pentagon changed the rules for troops who want to transfer their Post-9/11 GI Bill benefits to their dependents. Most notably, the new policy will end transfers for service members who have been in uniform longer than 16 years, starting in July 2019. It also immediately put an end to previous exceptions that have allowed certain service members with more than 10 years in uniform to transfer the benefit without committing to serve four more years, including those who were unable to continue serving because of mandatory retirement or high-year tenure. Defense Department officials have said the changes are “to more closely align the transferability benefit with its purpose as a recruiting and retention incentive." “With these updates, the department addresses the intent of Congress and ensures the benefit is available for future service members,” DoD spokeswoman Jessica Maxwell in an email. She said the policy change will impact about 9 percent of active-duty service members, National Guardsmen and reservists. The changes have been hotly contested by lawmakers and Veteran advocates, and after pushback, Defense Secretary Jim Mattis announced in September that none of the changes would apply to wounded warriors. Active-duty troops who have earned a Purple Heart for wounds in combat are now allowed to transfer their Post-9/11 GI Bill benefits to their family members whenever they want. But more recently, Sen. Cory Booker, D-N.J., has introduced legislation that would scrap the DoD’s recent changes all together and open GI Bill transfer to Veterans who did not have dependents while on active duty. Meanwhile, long-serving troops who want to transfer their GI Bill benefits to a spouse or child should plan on doing so before the July deadline kicks in. “We understand that it will take some time for service members and their families to decide on transferring benefits, so by giving them a one-year window, we believe it will give them ample time to gather information and make decisions,” Maxwell said. First, John explains the VA’s Aid and Attendance benefit. If a Veteran served at least 90 days of active duty, with one of those days being during a period of war, that person is a “wartime Veteran.” If that wartime Veteran needs help with their activities of daily living, and the costs associated with that care outweigh the Veteran’s ability to pay for it, then the VA will potentially kick in some extra money. Technically, this benefit is called the improved pension with aid and attendance, but most people just call it aid and attendance. It’s not only available to the Veteran, but it is also available to the surviving spouse of the Veteran, if they were married at least one year, married to the Veteran at the time of the Veteran’s death, and not remarried. This income can be a life-saver, especially if it makes it possible for the Veteran or survivor to live in a facility that can care for their needs. A few of the rules about eligibility for the Aid and Attendance benefit have changed. This includes clarification of the assets test, and a look-back period for any transfer of assets. This is a need-based benefit. In the past, the assets test for this benefit was very vague. One of the new rules is that there is bright line rule for net worth. There is now a clearly defined $123,600 limit on countable assets in order to qualify for this benefit. John is concerned about how some of the changes are written. For example, a home is not a countable asset, but it is the home plus two acres. This means that folks who live on larger lots, or own extra land, will have a more complicated situation. There is also a strange way that the VA is now calculating income as part of that net worth. In determining your assets, the VA will now look at something called your “income for VA purposes.” This takes your annual income, minus your unreimbursed medical expenses, and adds that to your net worth. This does not make any sense – there is no other context in which you included someone’s income in their net worth. The biggest change is that historically, the VA did not have a penalty for transferring assets. They now have a 3 year look-back period, similar to Medicaid. Any transferred that occurred in the 3 years prior to your application , any gift that happened during those 3 years, they can penalize you up to 60 months in the future. The penalty period is calculated by taking the amount of the gift, and divide that by the maximum aid and attendance benefit for a single person with one dependent, which is about $2,170 per month. The VA won’t provide benefits for the number of months you’ve been penalized. This only applies to gifts that are over the asset limit. The maximum penalty can be no longer than five years. This creates a tricky situation where you have to be sure that you wait at least the three years after transferring any assets or else you may find yourself penalized for longer than the look-back period. The big takeaway from these changes is that if you may be eligible for this benefit, you might need to do some advance planning. In the past, there was no reason to plan until you were going to apply for the benefit. Because of these changes, you might want to take some actions in advance to ensure you are eligibility for this benefit when the time comes. Thousands of Veterans who attended a vocational school or college that closed will have their benefits restored under the "Forever GI Bill," experts say. Lawmakers this month sent an expanded GI educational benefits bill, known as the "Forever GI Bill" to President Donald Trump's desk to sign. 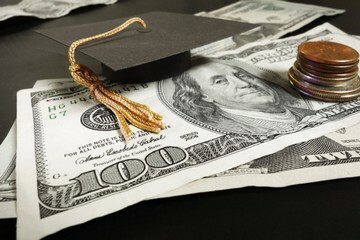 The Forever GI Bill, which passed the U.S. Senate unanimously, is estimated to cost more than $3 billion over 10 years. "It restores benefits to Veterans who were impacted by school closures since 2015 and has special benefits for our reservists, surviving dependents and Purple Heart recipients," said Veterans Affairs Secretary David Shulkin in a statement. The new law will also eliminate the 15-year limit on educational benefits for new enlistees. As the bill's nickname implies, Veterans will no longer have a time limit for completing their education. Since the GI Bill's creation in 1944 during World War II, it has been updated several times to help Veterans pay for college and training. The last expansion, the post-9/11 Veterans Educational Assistance Act, often called the post-9/11 GI Bill, was eight years ago. The 2009 expansion increased Veteran student enrollment at colleges, says Liang Zhang, a professor at New York University's Steinhardt School of Culture, Education, and Human Development, who studies higher education policies. Zhang found in his recent study that the last expansion increased enrollment rates by 3 percentage points from comparing the 2005-2008 period with 2010-2015. According to the 2017 annual report by the Department of Veterans Affairs, 79 percent of Veterans who enrolled in a higher education program in 2016 were beneficiaries from the post-9/11 program. "If the last GI Bill had a significant enrollment, then we could probably expect an increase in general enrollment by the current expansions," Zhang says. Veteran advocacy groups say Trump is expected to sign the Forever GI Bill. Here are five big changes once the bill becomes law. 1. Veterans whose colleges shut down in the middle of the semester will have their benefits restored. The closure of several colleges and universities in 2015 and 2016, many of which were for-profit, adversely affected many student Veterans, experts say. "So those who were attending ITT when it closed will have a full restoration of the benefits and be able to use the benefit at a different school," says James Schmeling, executive vice president of District of Columbia-based Student Veterans of America, a nonprofit advocacy group. But this benefit is not just for those who attended ITT Technical Institute, it also applies to service members who attended a postsecondary institution that closed after January 2015. According to the Congressional Budget Office, $50 million will go toward restoring benefits to thousands of Veterans next year. 2. New service members can use the benefit throughout their lifetimes. The caveat is it's only for those who were discharged on or after Jan. 1, 2013. For those who meet this cutoff, the expansion will eliminate the 15-year time limit to use these benefits. Experts say this will enable more Veterans to complete college or higher education courses for a career, which are necessary for wage gains. 3. The expanded benefits emphasize STEM programs. The expansion encourages Veterans to enroll in science, technology, engineering or math degrees through financial incentives. Schmeling says student Veterans often voice that they had to choose other fields since some STEM bachelor's degrees can take up to five years to complete. "They were choosing other degrees that they could complete during the availability of their GI benefit. So extending them allows them to take STEM more seriously than they might have before," he says. Veterans interested in these fields will be eligible to receive either nine months more of educational benefits or up to $30,000 in a lump sum, the maximum amount. While many of the bill's provisions go into effect next year, this provision won't be available until August 2019. 4. All Purple Heart recipients since Sept. 11, 2001 are now eligible for educational benefits. Previously, many reservists who were injured during active service didn’t meet the full requirements for the GI Bill. With this expansion, 1,500 Purple Heart recipients will become eligible for GI benefits, Veteran advocates say. 5. GI Bill entitlements can be transferred to another dependent or spouse. Veterans will be able to transfer the remainder of their entitlement to another dependent in cases where the dependent who initially received the transferred benefits dies. A dependent will also be able to transfer the remaining benefits to another dependent after the death of the Veteran, too. "It's not really a large expansion, but it's a humanitarian need for those who need to transfer," Schmeling says. Uncertainty over late GI Bill payments leave lawmakers asking: Who is accountable?